You may live for your grandma’s garlic bread, but sharing a piece with your dog can have lethal consequences. Ignore the puppy eyes and get informed: these are the top ten most dangerous foods you could feed your dog. Your dog may be drunk in love with you, but that’s the only kind of intoxication he needs. 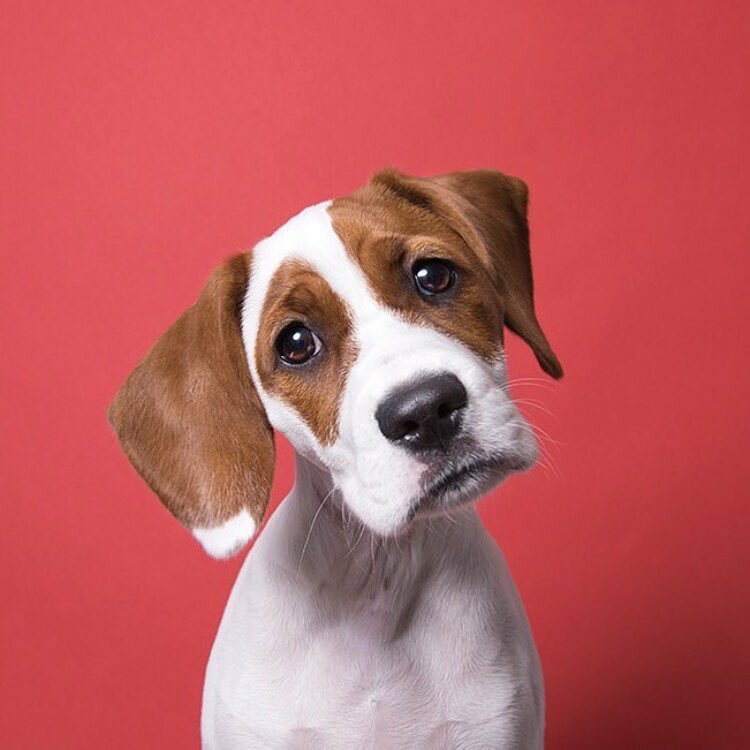 Think of your pup as that old college friend who can’t quite hold his liquor…only in this case your dog can’t tell you when he’s feeling queasy. Alcohol has the same effect on a dog’s liver and brain that it has on yours, but it can do big damage to a dog in much smaller quantities. Even a small amount of alcohol can cause vomiting, diarrhea, central nervous system depression, problems with coordination, difficulty breathing, comas, and even death. And just like humans, the smaller the dog, the greater the effect. Make sure your dog stays away from these two, and not just because of garlic breath. Garlic is a controversial ingredient; it has many medicinal purposes and it is an immune booster, but the potential risks outweigh the benefits. Both onion and garlic contain a substance that can damage and/or destroy a dog’s red blood cells, potentially leading to anemia. Did your dog scarf down the last onion ring when you weren’t looking? Keep an eye out: symptoms of anemia include weakness, pale gums, disinterest in food, dullness, and breathlessness. This risk is present in all forms of garlic and onion — raw, powdered, cooked, or dehydrated. Does your dog need a little extra pep in his step in the morning? Try an invigorating AM jog, but don’t even think about sharing your Starbucks. Coffee can cause irreparable damage and even caffeine poisoning if consumed in large enough quantities. This risk extends from tea, coffee, and energy drinks to soda, cocoa, and even some painkillers. Symptoms of caffeine poisoning include restlessness, rapid breathing, heart palpitations, and muscle tremors, not entirely unlike how we feel after drinking two cold brews in one sitting. While some fruits are great healthy snack choices for your dog, grapes and raisins do not make the cut. They make look innocent, but these sweet snacks can cause vomiting, lethargy, and ultimately kidney failure in dogs. It’s unclear why grapes and raisins have this effect, but make sure your pup steers clear of the grapes on that cheese plate to be safe. Macadamia nuts may be an excellent source of dietary fiber for humans, but dogs should look elsewhere for their crunch. Although the prognosis for many cases is extremely good, these nuts can be fatal to dogs. Toxicosis depends on the size of the dog, but consumption of as little as 2.4 g/kg of macadamia nuts can cause clinical signs of poisoning, including muscle tremors, weakness, paralysis of the hindquarters, vomiting, fever, and rapid heartbeat. Combining these nuts with chocolate exacerbates clinical signs and increases the risk of death, so do everyone a favor and close that bag of white chocolate macadamia nut cookies. An artificial sweetener often found in candy, gum, toothpaste, and certain diet foods, this substance can have quick and traumatic consequences for your dog. Xylitol causes a sudden increase in insulin circulation that can result in a severe drop in blood sugar and even liver failure. Early symptoms include repeated vomiting, lethargy, and loss of coordination that can evolve into seizures. Liver failure from xylitol ingestion can occur within just a few days, so don’t forget to put the cap back on the toothpaste in the morning. Your dog (and roommate) will thank you. This sweet treat is the most commonly cited forbidden food for dogs. What makes chocolate toxic to dogs is a substance called theobromine, which can cause abnormal heartbeats, tremors, seizure, and death. All chocolate is dangerous for dogs, but dark and unsweetened baking varieties are the strongest sources of theobromine and are therefore the deadliest. We might feel tempted to give our dogs leftover bacon scraps at brunch, but it isn’t worth it. Both cooked and uncooked fat trimmings can cause pancreatitis in dogs. In addition, bones are choking hazards and can also splinter and puncture a dog’s throat or digestive tract. Freshly cooked, high-quality meats, on the other hand, are a great source of safe, pup-friendly protein. There’s a good reason cookie dough dog treats aren’t a trend. Basic baking 101: uncooked dough needs to rise. If your dog ingests it when it’s still raw, it will rise inside the stomach and cause swelling and severe pain. The yeast will also ferment, producing alcohol, which by now you should know is risky business. Pits and seeds can obstruct a dog’s digestive tract, so always exercise caution when sharing peach slices or watermelon chunks with your pup. Certain agents within the pits themselves can also be dangerous: both peach and plum pits contain cyanide, which is poisonous for dogs — and humans. Not all fruits should be feared, though: once you remove the pits and seeds, certain fruits can be the perfect healthy snack for your pup.